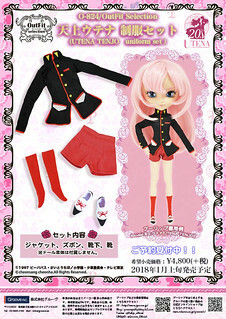 Revolutionary Girl Utena Pullip Ohtori School Uniform Announced! Recently Groove announced the exciting upcoming collaboration with the beloved classic bishoujo series Revolutionary Girl Utena via their blog, Pullips based off of the characters Utena and Anthy are to be released in December of this year. Pullip Anthy comes in her Rose Bride dress while Pullip Utena comes in her duelist uniform which are their signature, iconic outfits. Groove just made a very exciting announcement via their blog about their Revolutionary Girl Utena collaboration they will be releasing Ohtori school uniform outfit sets for both Utena and Anthy. The outfit sets are priced at 4800 yen each and are to be released in January. 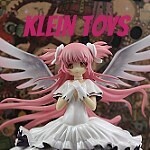 Anime collaborations can sometimes walk a fine line, sometimes a character design is so appealing that you will want to buy the doll no matter what it is from but other times it can be kind of frustrating when you aren’t familiar with or dislike a series and then it dominates the release schedule. Some fans expressed disappointment that instead of releasing so many variations of the same character that maybe outfit sets could have released instead like instead of Super Sailor Moon being another release it would have just been a separate outfit available for purchase and I can kind of understand that even though I am personally working on getting all of the variations of the characters because I am a fan of the show. I am very happy that Groove is going the route of releasing Ohtori School Uniforms as separate outfit sets, I’m not sure if separate doll releases of Utena and Anthy in their respective school uniforms would have been justified but I feel like this is perfect solution and a happy medium. I don’t know if Groove intends to continue this collaboration series beyond releasing dolls of Utena, Anthy and the uniform sets but now even if Groove doesn’t continue the collaboration series I can buy multiple Anthy school uniforms and make a customs of some of my favorite secondary characters like Nanami, Kozue and Shiori, oh and Wakaba! Utena’s school uniform is unique to her character, to the best of my recollection I don’t think anyone else at Ohtori wears a uniform quite like her’s. Her duelist outfit is an embellished, fancier form of this outfit so it is admittedly not that different than the outfit that comes on the Utena Pullip just without the gold aiguilette, white epaulettes and white ruffled edge to her dark blue blazer. It is nice to have the basic school uniform as an option for Utena and I will probably buy it for my Utena Pullip once I get her. 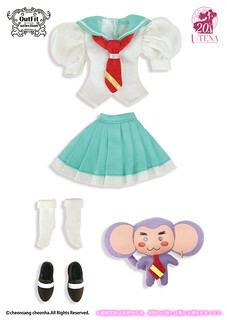 I am very excited about Anthy’s school uniform, not only does it come with Anthy’s super adorable (friend) pet monkey Chu Chu but it is incredibly versatile as it’s the standard Ohtori School girl’s uniform. Anthy wears the same uniform that most of the girls wear in the series including Utena herself at one point after she becomes disillusioned at the end of the student council saga. Even if you don’t think Anthy needs her school uniform it could definitely be used to make other characters in the series that may not receive doll releases like Utena’s best friend Wakaba. I am definitely going to end up with an army of Chu Chu as I am going to be buying multiples of Anthy’s outfit set. 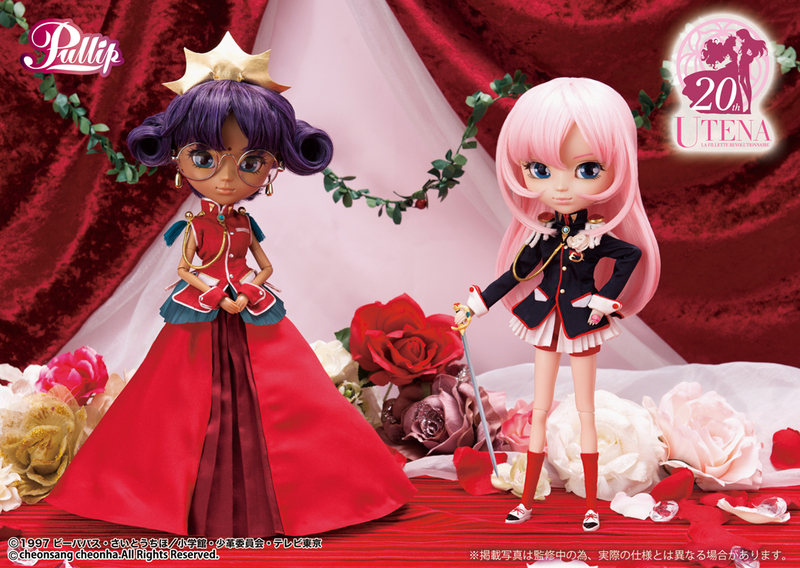 I hope Groove releases either dolls or outfit sets based off of the movie designs of Utena and Anthy as they are quite different than their appearances in the anime. I can not wait for Utena and Anthy to be released! This entry was posted in Doll, Pullip and tagged anthy, asian fashion doll, fashion doll, Pullip, revolutionary girl utena, Revolutionary Girl Utena 20th Anniversary, shoujo kakumei utena, utena. Bookmark the permalink. 1 Response to Revolutionary Girl Utena Pullip Ohtori School Uniform Announced! I love this idea. Far better then what they did; with the Sailor Moon collaboration. I just wish they would “re-due” that one. With re- releasing the uniforms, or extra items. It would sure bring in a lot of money in. An fans to want to buy it; if they were to go that route.